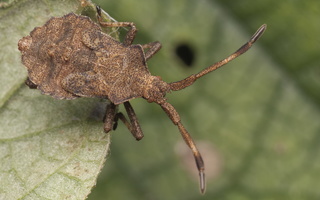 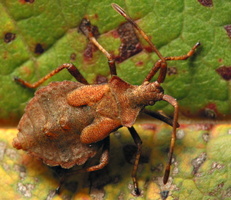 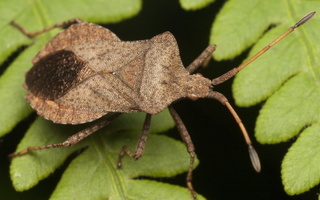 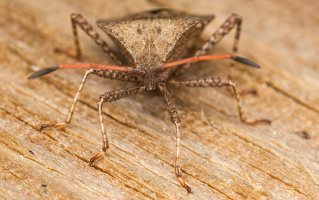 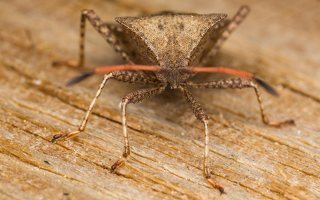 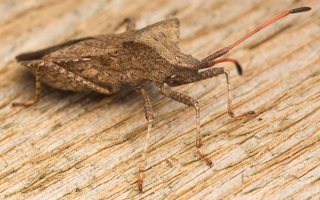 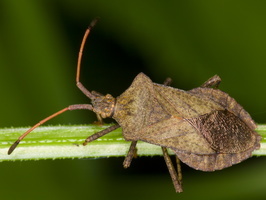 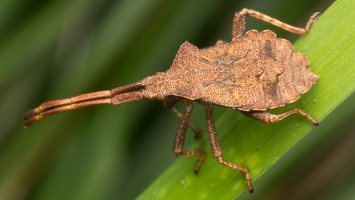 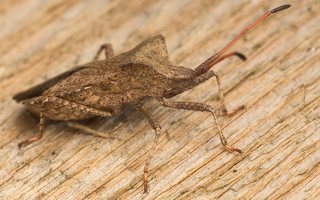 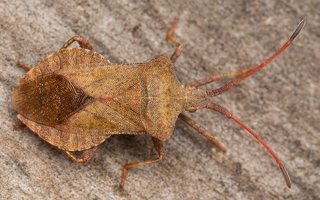 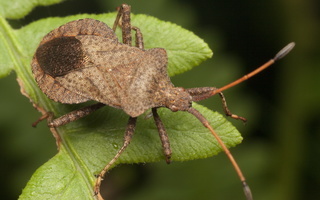 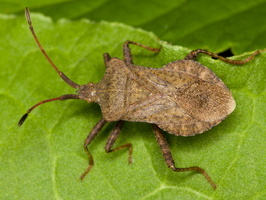 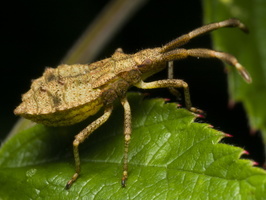 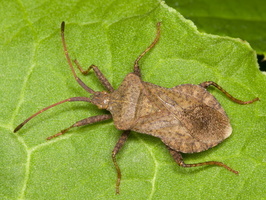 EN: Dock Bug The two small projections between the adult antennae are diagnostic. 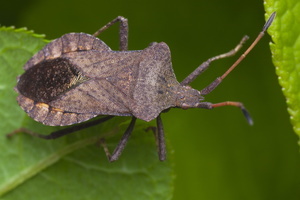 There is one generation per year, adults mating and laying eggs in spring/early summer. 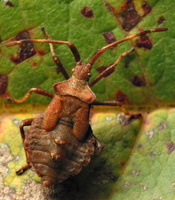 The larvae feed on dock and other related plants in the Polygonaceae. 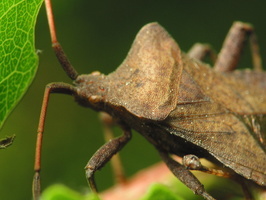 New adults may be found from August. 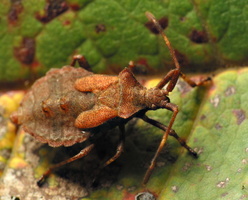 Adult length 13-15 mm.